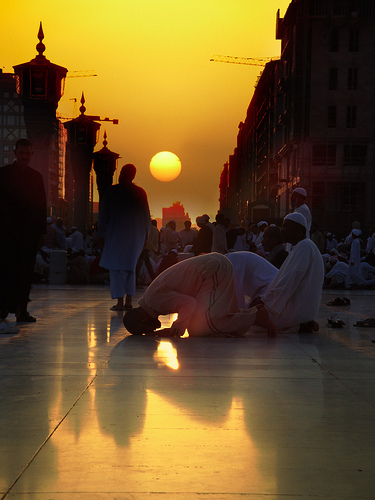 Home Hadith Posts Hadith: Prophet Pbuh ordered us to do 7 things and forbade us from 7 things. Hadith: Prophet Pbuh ordered us to do 7 things and forbade us from 7 things. The Prophet ordered us to do 7 (things) and forbade us from 7 things. He ordered us to visit the patients, to follow the funeral procession, to reply to the sneezer (i.e., say to him, ‘Yarhamuka-l-lah (May Allah bestow His Mercy upon you), if he says ‘Al-hamdulillah’ (Praise be to Allah), to help others to fulfill their oaths, to help the oppressed, to greet (whomever one should meet), and to accept the invitation (to a wedding banquet). He forbade us to wear golden rings, to use silver utensils, to use Mayathir (cushions of silk stuffed with cotton and placed under the rider on the saddle), the Qasiyya (linen clothes containing silk brought from an Egyptian town), the Istibraq (thick silk) and the Dibaj (another kind of silk). Bukhari (See Hadith No. 539 and 753).